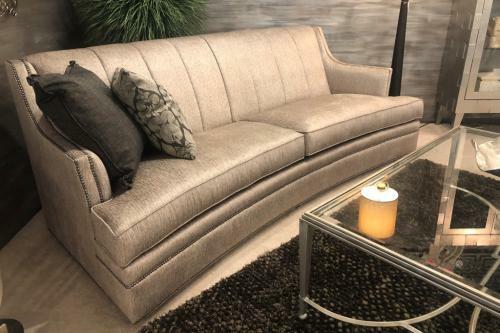 This transitional channel back 2 arm sofa features nail head trim. Other fabrics available. Nail head trim is optional.